Between November 2-8, Alpinist contributor Jeff Shapiro posted his photos and stories on our Instagram, Facebook and Twitter pages as part of our Alpinist Community project. Shapiro was instrumental in our most recent issue's feature story, "Going Home." He's been featured in NewsWires including "Grosvenor Sees Third Ascent," and "Trip Report: New Mixed Route in Glacier NP and the story Searching for Light in the Dark Arts." The Tool song, Forty Six & 2, was the theme music for our route of the same name, shown here. This pitch turned into a two-hour mirror of strengths and weaknesses and was a defining moment in my love affair with the mountains. 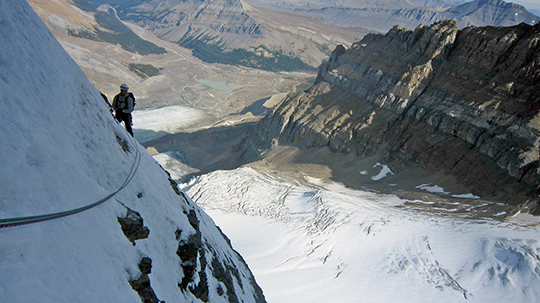 At the beginning of a week-long trip from Montana to the roadside gems of the Icefields Parkway, Chris Gibisch and I were beckoned by the allure of the Stanley Headwall. After a life-affirming day, we arrived back at the car to a soggy, snow-dusted note under our windshield wiper. It read: "We were on French Reality and watched you on Nightmare [on Wolf Street]. You're crazy. So are we.—Stephan." 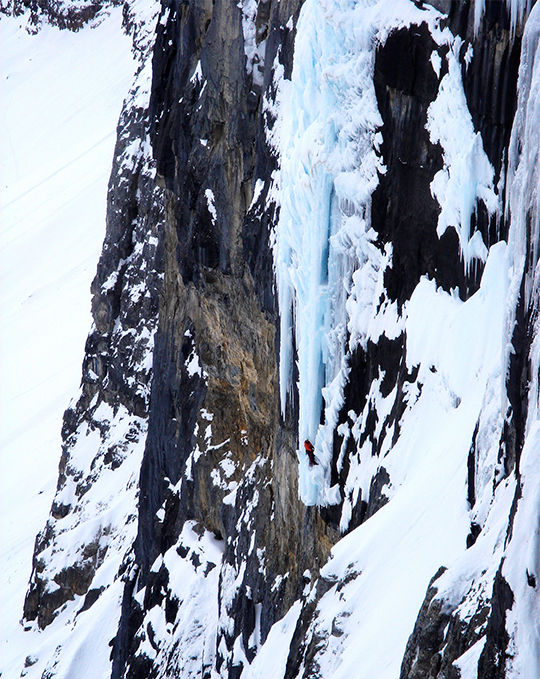 Read more about the Stanley Headwall in the NewsWire by Raphael Slawinski from February 21, 2008, here. There was a Russian big wall festival happening on the oceans of El Cap. The routes we were most inspired to do were inundated with teams hoping that the difficulties would garner them a 'good score.' 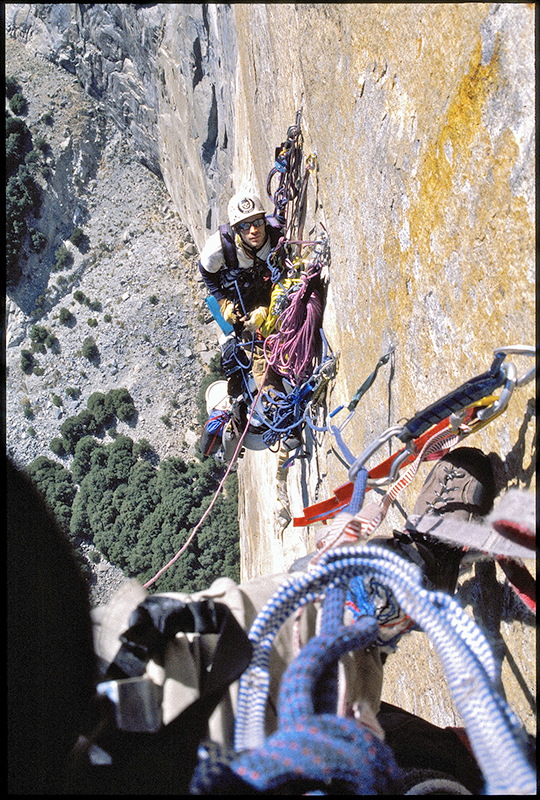 Kevin McCracken and I were just looking for adventure and climbed Iron Hawk to Native Son (5.9 A4, 1,900'). Our goals were simple: to make upward progress and to laugh as much as possible. 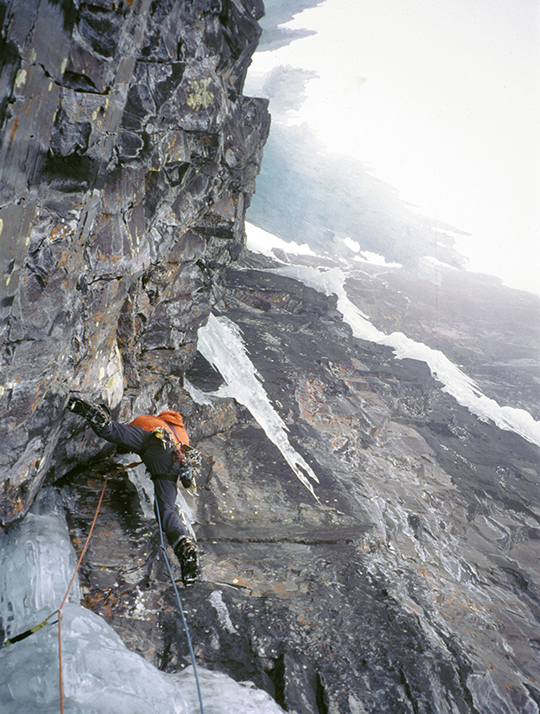 Chris Gibisch following a traverse on Andromeda Strain (5.9+, WI5, Blanchard-Cheesmond-Friesen, 1983), high above the Columbia Icefields in the Canadian Rockies. Read more about Mt. Andromeda in the story by Raphael Slawinski from Alpinist 17, here. In 2011, Chris Gibisch and I traveled to the Daxue Range in western China to attempt a new route on the Northwest Face of Mt. Grosvenor. 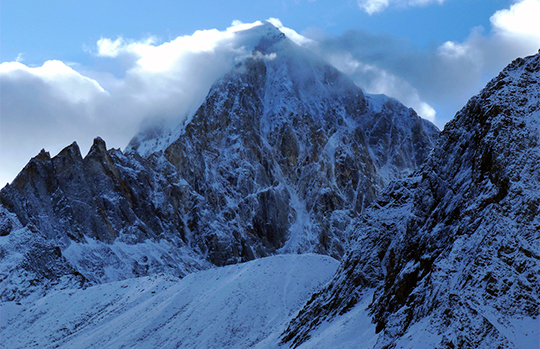 The peak's dark and mysterious walls were laced with thin ribbons of ice. Read the NewsWire from January 27, 2012, here. In 2004, Chris Gibisch and I flew into the Alaska Range. Our mission: climb whatever was in good shape. 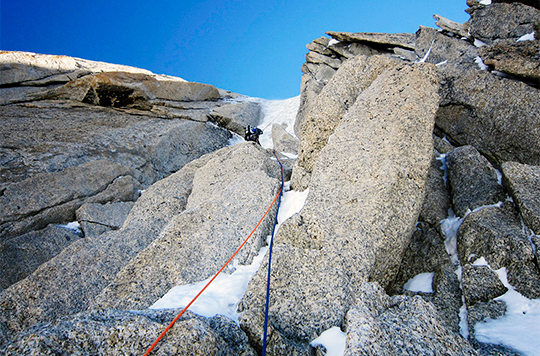 While acclimatizing, we climbed from 13,000' on the West Buttress to intersect Thunder Ridge. 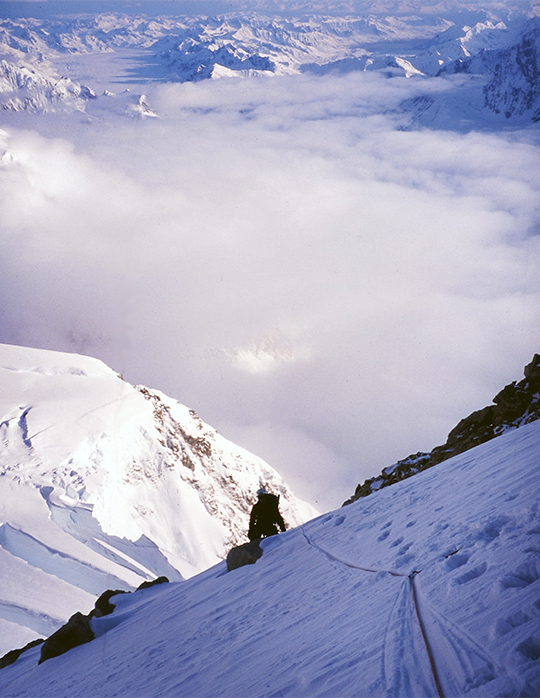 After fifteen hours on the go, we reached the tent city at 14,200' on Denali's West Buttress. It was cold and crisp and that perfect twilight pink found in the early morning hours accentuated the peace and satisfaction of a good day in the big mountains. To read more about Jeff Shapiro, watch this video and follow him on Instagram.